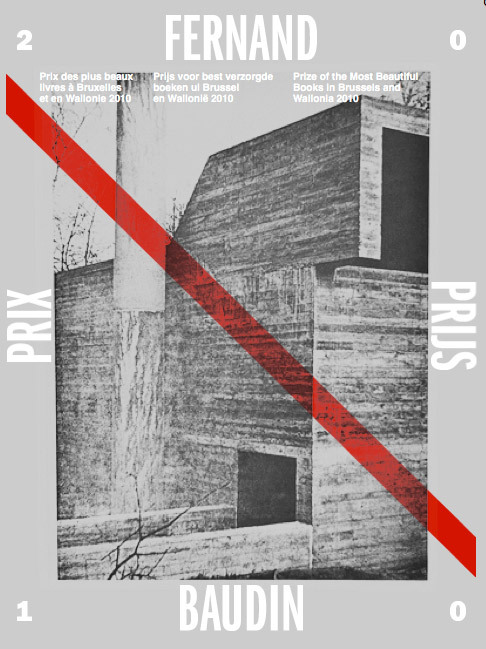 Pro qm is pleased to announce an exhibition with the Prix Fernand Baudin for the most beautiful books from Brussels and Wallonia 2010, opening on Saturday, May 28, 7-9pm. For two weeks, Pro qm will present the prize-winning books and eleven special versions of the accompanying catalogue. The prize is conceived as a platform for the discussion of experimental strategies in publishing with a focus on the specific coherence of the interactions between the various creators of books: authors, artists, publishers, designers, and printers. This year’s jury included Alexis Zavialoff, Roland Früh, Felix Weigand, Markus Dreßen, Georges Charlier, Goele Dewanckel, Etienne Wynants and Bernard Marcelis. The Fernand Baudin Prize has been initiated by designers, artists and teachers who work in the book world. The prize is supported by Brussels-Export, Wallonia-Brussels International (WBI) and Wallonia Foreign Trade and Investment Agency (AWEX). This entry was posted	on Saturday, May 28th, 2011 at 10:33 am	and is filed under events. You can follow any responses to this entry through the RSS 2.0 feed.